It&apos;s design is attractive.. and its has pre built features like music control,microphone , alarm etc. But it lacks in Gps and wifi. It also lacks calling and sim support..
A smartwatch with a very accurate health tracker and clean OS. On top of it, the amazing battery life makes it a very good product. 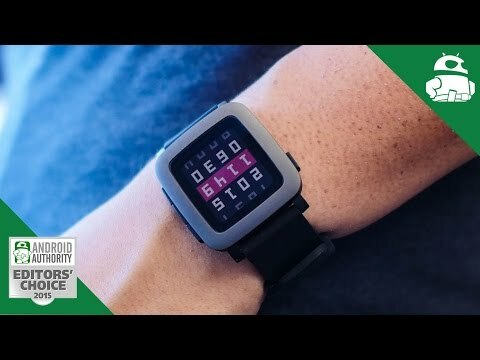 2 Pricebaba users have written their experience with Pebble Time. If you own Pebble Time, please do leave your feedback too. Pebble Time was launched in May 2015. Some of its key features include Accelerometer, Magnetometer, Ambient Light Sensor, and Gorilla Glass. Pebble has given the watch a squarish 1.25-inch E–paper display and LCD backlighting. Bezels surround the square design of the watch. It’s a non-touch screen model with a display resolution of 144 x 168 pixels resulting in 182PPI pixel density. The watch, however, gets 4 physical buttons given next to the frame of the watch for the operations. It weighs a mere 42.5 grams and its dimensions are 47.1x 37.5 x9.5mm. Pebble Time sports a stainless steel grey coloured dial which is accompanied by a silicone strap. The silicone strap is detachable and can be swapped with any 22.5mm belt. There are 3 colours offered on the watch red, black and yellow. The display of pebble time is protected by 2.5D scratch resistant Gorilla Glass. It carries a 3 ATM certification which means it can be submerged in water to a depth up to 30 metres and can be used for swimming and in the shower. Pebble time features an ARM Cortex M4 processor and runs Pebble operating system. It is compatible with devices running Android version 4.3, iOS 8 and above. Its pre-built features include music control, a timeline which shows you your schedule, multiple watch faces that can be customised, microphone, notifications manager, weather, alarm, compass and gyroscope. It lacks GPS and WiFi. There are 8 inbuilt apps and you can also download additional apps from the play store as per your requirement. Pebble Steel is powered by a 150mAh Lithium-ion polymer battery that lasts up to 7 days of usage as claimed by the company. The battery can be charged by the standard USB charging cable. It can be connected to a smartphone via Bluetooth, but it lacks calling and SIM support.